The ENRD is always on the lookout for interesting rural development videos. This is your chance to share your stories and images with people across Europe! The ENRD event "Connecting rural Europe – Learning from the past, preparing for the future” was a unique occasion to recognise the work achieved by the EU rural development community during the 2007-2013 programming period. The event provided the opportunity for ENRD stakeholders to take part in appreciating and discussing the past six years of rural development networking and its achievements as well as to exchange their views in relation to upcoming challenges during the 2014-2020 programming period. This video has been played at the ENRD event “Connecting rural Europe – Learning from the past, preparing for the future” on 2 June 2014. It brings together clips collected from various National Rural Networks with the purpose of capturing in a few minutes the pace of the daily activities of their members. Building on the experience gained over 2007-2013, the ENRD Seminar on Communicating Rural Development focused on the contribution of communications to improving rural development policy implementation at the EU, Member State and local level. The event provided representatives of Managing Authorities, Paying Agencies, National Rural Networks, Local Action Groups or other rural stakeholders with the opportunity to share their experience and engage in discussions about the best and most effective ways of communicating rural development. The 2014-2020 programming period is already here! The first ENRD seminar of the new programming period was held in Brussels on the 29th of January 2014 and offered rural development stakeholders an opportunity to exchange experiences and views on how to come to a good implementation of the new programmes. 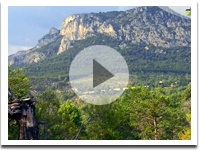 This ENRD video describes how support from the EU Member States' Rural Development Programmes is important for sustaining the livelihoods of mountain communities.